Cook Party Rentals | Rent Tents, Tables, Chairs & More! 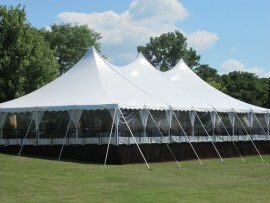 Rent Tents, Tables, Chairs & More! In the shade with our selection of tent rentals! Reserve your table rental today! Where it's formal or just a get together, we've got you covered. Inflatable rentals that will make you bounce! We have the tent rental for your next event! Find the perfect table rental! Take a load off with our selection of chair rentals! Welcome to Cook Party Rentals! It is our goal to become your event partner. We want to help ensure that your event goes off as planned. Make Cook Party Rentals part of your event team. Not only do we provide the rental equipment but we also provide a wide range of services to help meet all your needs. Cook Party Rentals is here to make your life easier! 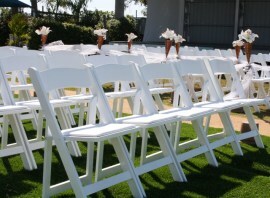 Cook Party Rentals offers a wide selection of tent rentals and chair rentals We also offer assorted table rentals. Our rental selection also includes linen and tablecloth rentals. We also offer inflatables and bounce house rentals and concession equipment rentals. We also have dance floor rentals at competitive prices. Cook Party Rentals can help you out for any event. Weddings, formal events and birthday parties are just some of the events we cater to. Cook Party Rentals has you covered. Our friendly staff and seasoned personnel has over 50 years of experience. They will help guarantee that your event is a memorable one. For those services that we don’t offer for your event or party, we can direct you to other local businesses. These businesses provide the high quality services your wedding or event may require.